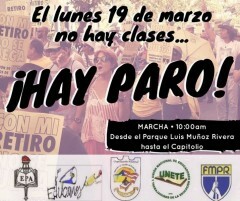 Puerto Rican teachers to strike March 19 against privatization of public education | Fight Back! 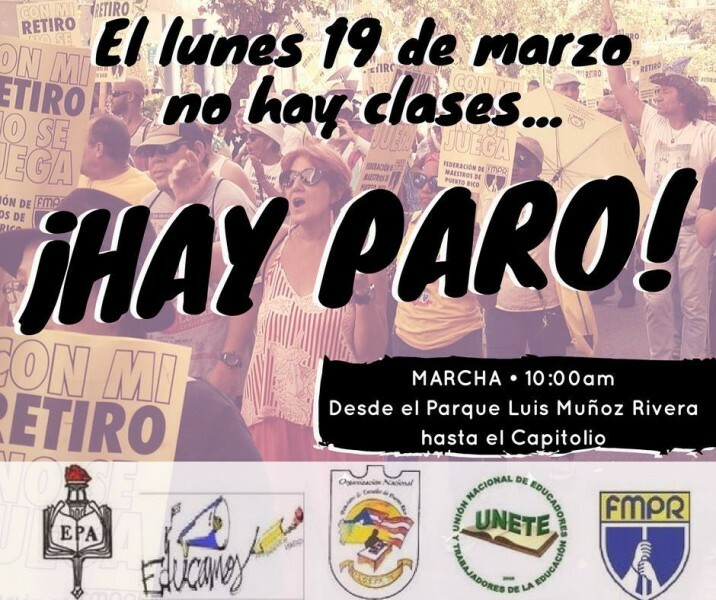 The Puerto Rican Teachers Federation and allied teachers’ organizations in the Broad Front in Defense of Public Education (FADEP) have called a national teachers’ strike in Puerto Rico for March 19. The strike is in response to the Puerto Rican House of Representatives passing an education reform bill this week that would introduce charter schools and private school vouchers and that would close hundreds of public schools. The government is trying to opportunistically push through this sweeping attack while Puerto Rico is still recovering from the destruction of Hurricane Maria. At the same time as this push for privatization of public education, Puerto Rico's governor also announced his plan to privatize Puerto Rico's electrical system. Such privatization efforts are at the behest of U.S. corporations and the colonial Fiscal Control Board, which is demanding deep cuts and privatization of public services in Puerto Rico to collect on Puerto Rico's unjust and unpayable debt at the expense of the needs of the people of Puerto Rico. To become a law, the education reform bill would still need to be considered by Puerto Rico’s senate and signed by Puerto Rico’s governor. To try to stop that from happening, teachers throughout Puerto Rico will strike on Monday, shutting down public schools and converging in San Juan to march on the capitol in repudiation of the proposal that’s currently in front of the senate.